We will consult with you every step of the way, through our custom jewelry design process, to ensure the finished product is everything you imagined it would be. We’ll guide you through the entire process and customize your one-of-a-kind piece to fit your unique needs and budget. Whether it’s a custom engagement ring, wedding band or fashion piece, we’ve got you covered. To start the custom jewelry design process, we will meet with you to discuss your ideas and inspiration. If you already have a picture or drawing of the design you have in mind, we can review your options and proceed to the next step. 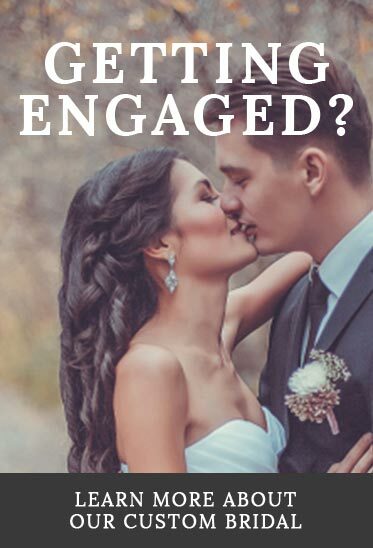 If not, we have a vast inventory of finished jewelry and mountings in our showroom, so we can show you actual examples that we can modify or combine to fit your needs. Our designers will put together an estimate, which will include: cost, approximation of total carat weight, color/clarity of stones, and the metal selected. If we are using your stones to create the piece, we will note condition, quality, weights, and/or trade-in value of scrap materials (i.e. unused stones, old metal). Once you approve the design concept and estimate, we will begin to create the actual custom piece. Custom work, depending on degree of complexity and revisions, generally takes 4-6 weeks from beginning to completion. We’re happy to discuss special requests for rush orders depending on the project. If you like, we can provide a computer-aided design (CAD) rendering of your creation. The CAD rendering is a realistic view of a 3D model. A CAD rendering may not be available if the wax used to cast your piece is carved by hand or if we are modifying an existing design that we have in our showroom. At this step we will make sure you are thoroughly pleased, make revisions if needed, and then move forward with casting. 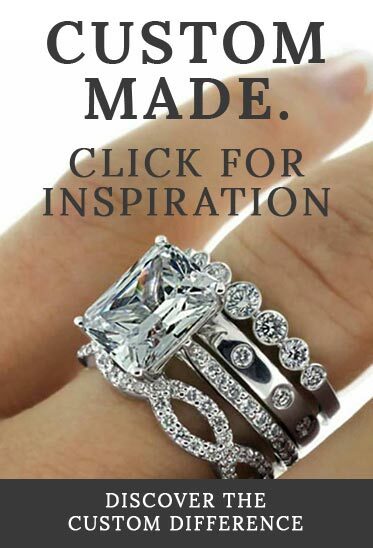 Our master jewelry artisans will employ their full skill set when crafting your custom design. They are experts in hand fabrication, gemstone setting and fine finishes. During the finishing process and after completion, our project manager will carefully inspect your piece to ensure it meets our quality standards and expectations before delivery. Once your piece has passed our quality control inspection, our project manager will contact you to let you know your custom jewelry is ready to be enjoyed!